Did only people who were friendly to Jesus claim to have seen him after his resurrection? The last few weeks we’ve been examining the evidence for the resurrection of Jesus, using the Minimal Facts Approach. I’m presenting the five minimal facts that are so well historically confirmed that they are accepted by nearly every scholar, even the skeptical ones. Two weeks ago we looked at the first fact, Jesus died by crucifixion. 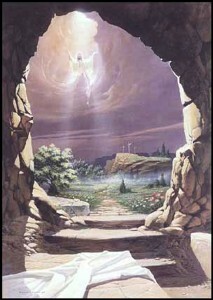 Last week built upon that with the second fact, Jesus’ disciples believed that he rose and appeared to them. The last three facts support the first two. Saul of Tarsus, better known to most of us as the Apostle Paul, was a devout Jew who believed it was God’s will for him to persecute and imprison member of the new Christian church. He was going about doing that when he suddenly changed and became one of the church’s most influential messengers and leaders. In his letters to three different churches Paul writes of his change from persecutor of the church to promoter. The story of his conversion is also recorded in the book of Acts. It also seems that the story of his dramatic change was going around the region of Judea within three years of his conversion. 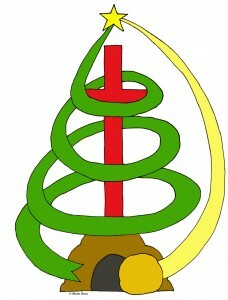 Paul hinted at this in writing to the Galatians that though they did not know him by sight, they had heard the report that “The man who formerly persecuted us is now preaching the faith he once tried to destroy.” (Galatians 1:23) So multiple sources report his sudden change but what could bring this radical change about? 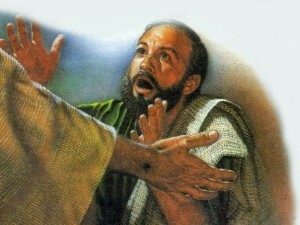 Both Paul himself and Luke, in Acts, report that it was because Paul firmly believed that he had experienced an encounter with the risen Jesus. (Acts 9:1-19; 22:3-21; 26:9-23; 1 Corinthians 9:1; 15:8) Paul’s conversion is so interesting because he was an enemy of Jesus and the church when he claimed that he saw the risen Jesus appear to him! And so the resurrection of Jesus is testified to by both his friends and an enemy. We saw in the introduction to this series of posts that confirmation by an enemy strongly supports historical claims. As shocking as it would be for Rush to support a Democrat, he wouldn’t be persecuted, imprisoned or possibly killed for it. Paul was so convinced that he had seen Jesus, risen from the dead, that he chose to go from being an authorized and empowered persecutor to being one of the persecuted! Paul began preaching about the risen Jesus even though that meant that he would suffer greatly for it and it would end in his martyrdom. This is well documented by Paul himself, Luke, Clement of Rome, Polycarp, Tertullian, Dionysius of Corinth and Origen. So not only did Jesus’ friends and followers so firmly believe that the risen Jesus appeared to them that they were willing to suffer for their testimony, so too was Paul, the once great enemy of the church. As we continue to add these five minimal facts I think you can see that they build a very strong case. Any alternate theory has to account for not just one, but all five facts. For example, one could say that the disciples stole Jesus’ body and lied about the resurrection, as the Jewish leaders did. 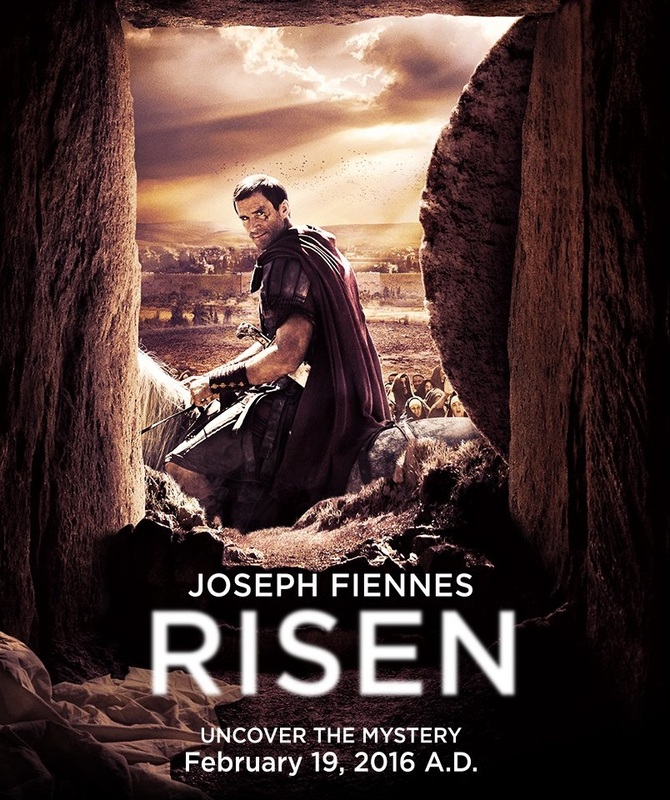 However (aside from the fact that that seems unlikely given the disciple’s willingness to suffer and die for their claims) how does that explain how an enemy of the church came to claim he had seen the risen Jesus and went from persecutor to persecuted? And it will become even more difficult for any other theory to explain all the facts once we add the final two. Come back next week for Fact 4: The skeptic James, the brother of Jesus, was suddenly changed. Two weeks ago I laid the groundwork for examining the evidence for the resurrection of Jesus and now I’m presenting the five minimal facts that are so well historically confirmed that they are accepted by nearly every scholar, even the skeptical ones. Last week we looked at the first fact, Jesus died by crucifixion. This week we build upon that with the second fact. There is a virtual consensus among scholars who study the resurrection that after Jesus died by crucifixion, his disciples really believed that he rose from the dead and appeared to them. This is because the evidence shows that 1) the disciples themselves claimed that Jesus had risen and appeared to them, and 2) after they said that they saw the risen Jesus, they were radically transformed from fearful cowards who denied and abandoned Jesus at his arrest and went into hiding — to bold and brave men who proclaimed the good news of the risen Jesus in spite of the imprisonment, torture and death that that brought. Let’s look at the evidence for each of these point. What if someone says, “I don’t believe the Bible is the inspired Word of God and I’m not sure the four gospels were written by the alleged authors.”? Some say that the resurrection and Jesus’ miracles are legends that were added much later. So how do we trace these claims back to the disciples themselves? There are nine early, independent sources, in three categories, that show that Jesus’ disciples themselves claimed to have seen the risen Jesus. First, Paul confirmed that the disciples made this claim. Paul wasn’t with the twelve disciples when Jesus was here. He joined the church later, after persecuting it, but he got to know the original disciples personally (this is confirmed by sources both inside and outside of the Bible) and he confirms that they proclaimed that Jesus appeared to them 1 Cor 15:11. Second, while I don’t have the space to go into the details, early oral tradition, that came before the writing of the New Testament, takes the proclamation of Jesus’ resurrection appearances back to within five years of the event and back to the disciples themselves. Third, early church fathers, including Clement and Polycarp, who were students of the disciples themselves and knew them personally, confirm that they claimed and proclaimed the appearances of Jesus, risen from the dead. The disciples’ radical transformation into bold proclaimers and their willingness to suffer and even die for their claim shows that they believed it. Sources outside the Bible, as well as those within, report the persecution, suffering and even martyrdom of the original disciples and Paul as well. The evidence is clear that the disciples believed that the risen Jesus appeared to them and they were willing to suffer and even lose their lives for those claims. 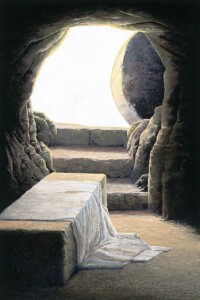 Atheistic New Testament scholar, Gerd Ludemann concluded, “It may be taken as historically certain that Peter and the disciples had experiences after Jesus’ death in which Jesus appeared to them as the risen Christ.” This doesn’t mean that he believes that Jesus rose from the dead but it’s clear to him that the disciples believed it. So they believed it, but don’t people die all the time for things they believe that aren’t true? The 9-11 terrorists clearly believed in their cause and were willing to give their lives for their beliefs, but that doesn’t mean their beliefs were true. So why is the disciples’ belief in the resurrection of Jesus such strong evidence that it actually occurred? There is a significant difference between modern martyrs dying for their beliefs and Jesus’ disciples doing so. Modern martyrs act on their trust in things that were taught to them by others. The disciples, on the other hand, stood firm on their own eyewitness claims. The disciples were in the position to know if their claims were true or a lie. People die for a lie quite often but no one willingly dies for a lie that they know is a lie. In a conspiracy someone always cracks to save their own skin. And yet the disciples of Jesus were so certain that Jesus rose from the dead that every one of them continued to proclaim that, no matter what they were threatened with. They never changed their story because the message of the Risen Savior meant more to them than their very lives. I don’t know about you but I think that’s some testimony that’s worth listening to. Come back next week for Fact 3: The church persecutor Paul was suddenly changed.